Providing Service and Quality Innovation for Agriculture. Founded in 1979 by Joe Whitney, a farmer himself, S.I. 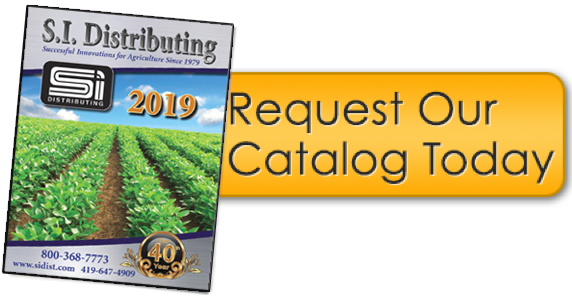 Distributing offers new and proven products, backed by customer service, to improve your farming and bottom line. 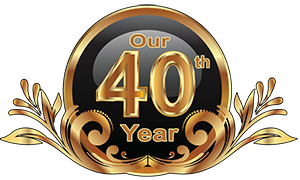 For the past 40 years, from the first planter meter test stand on the market to the best crop cutting system in the world, we have worked hard to continue Joe's vision of providing high quality, innovative products and excellent service to our loyal customers. We strive to continue to be a leader in “Successful Innovations for Agriculture" now and in the future. Air Filter Blaster with 6" rotor included. SCH Parts Bag for SCH cutting system with roller guides. Includes open top guard, standard guards, three-point guard (if required), top and bottom rollers, box of 25 sections with hardware and an extra splice kit. NOTE: Please include model and width of platform. Valion seed tube guard with liquid for John Deere XP, XP Pro and MaxEmerge 5 row units. Will NOT fit John Deere ExactEmerge planters. Valion seed tube guard for John Deere XP, XP Pro and MaxEmerge 5 row units. Will NOT fit John Deere ExactEmerge planters. Valion seed tube guard for Kinze 3000 series. WA1345 Floating 13 inch 4-Bolt row cleaner is shown with optional treader wheels. 45 degree for narrow rows and high speed planting. Mounting bracket sold separately. 2 Row - Case IH 2600, 4200, 4400; New Holland 99C, 980CF G4 with 12" shoes. Will fit ALL ROWS EXCEPT 2 & 5 on 2606 heads and ALL ROWS EXCEPT 2 & 11 on 4412F heads. Will fit ALL ROWS EXCEPT 2 & 5 on 99C and ALL ROWS EXCEPT 2 & 11 on 980CF. MUDSMITH GAUGE WHEEL, 4.5 X 16, 5/8"
MudSmith wheel with 4.5" x 16" standard tire with 5/8" bearing. Will fit Great Plains, John Deere, Kinze, Monosem and White planters with 5/8" bearing. Patented open rim design reduces mud and debris build-up. Improves planting efficiency during wet soil conditions. Planter Spading Closing Wheels, includes a set of 9" razor closing wheels. Fits Case-IH planters, John Deere planters & Kinze planters with shallow closing attachments. This is our brand new HD touch screen monitor! This monitor not only provides the user with an HD quality image that makes all the difference, but it's also got a built-in GPS, multimedia options (Netflix, Amazon, etc. ), FM transmitter, and Bluetooth available! This unit comes ready to view a single camera, but can be upgraded with the quad processor shown above for up to four camera viewing! Compact parallel linkage row cleaner with standard wheels. Includes mount, treader wheels and mounting bracket for optional Clean Sweep or Smart Clean. Recommend running Clean Sweep or Smart Clean for optimum performance. Finger-Till closing wheel for John Deere, Kinze and White planters that use a 5/8" or 16mm bolt to attach closing wheels. This special blend of 80% talc and 20% graphite improves seed loading and seed release – and that improves seed spacing. eFlow improves the flow of seed from the hopper to the meter. In the meter, eFlow ensures that seeds release consistently once the vac is shut off and seeds drop to the seed tube. The addition of graphite, especially in smaller seeds, helps seeds slide off the disk like clockwork. Graphite, 5-LB jug. Precision Planting brand of graphite powder. Portable, wireless, full color, back-up camera system. The Swift Hitch includes 10-Hour Run-Time weather resistant cameral, hi-resolution color display, foam lined storage case, suction cup mount, 12 volt charger cable and display battery. Portable Wireless Remote Controlled Taillights. Instant tail lights for any vehicle or trailer being towed. The Swift Tail Lights system includes 2 Taillights and 1 Controller. Swift Tail Lights are to be used ONLY as temporary tail lights.